We are a growing firm of innovative professionals open to partnering with like minded people. Traditionally accountants place emphasis on controls, and the general grouse of entrepreneurs is that the CA always stops them from moving forward. Instead of saying ‘this cannot be done’, our approach is to show ways of ‘how it can be done better’. Berinder is a Chartered Accountant, member of the CFA Institute and Member Royal Institute of Chartered Surveyors (MRICS), UK. Berinder worked in the Assurance & Business Advisory division of Arthur Andersen and Ernst & Young from 2001 to 2003. His key statutory and internal audit assignments included leading corporates from Pharma, Automobile, BPO, Media & Entertainment, Advertising & Finance industry. He worked with JPMorgan’s Investment Bank in India and in the United States from 2004 to 2008. While at JPMorgan, Berinder tracked the Consumer, Healthcare and Retail Sectors, and worked on M&A, Equity, and Debt transactions amounting to over USD 1bn. Berinder worked with Colliers International as an Associate Director, Investment Services focusing on Real Estate Private Equity and Debt syndication transactions from 2008 to 2012. He initiated and closed transactions over USD 500mm while at Colliers. Berinder is currently involved in the Virtual CFO, Risk Management & Investment Advisory practice of the firm. Berinder has written articles on investing in real estate and has been quoted in several leading business newspapers. His other interests include working with start-ups and early stage companies. Dharmesh began his career as an article under Mr. Sahni, having also completed LLB (Gen). In 2011 he enrolled as a member of the ICAI. During the articleship, Dharmesh gained vivid exposure in the field of Taxation for corporations and individuals; Statutory, Tax and Internal Audits; Indirect Taxation and ROC related compliances. After qualifying as a Chartered Accountant, Dharmesh joined the Taxation Department of KPMG. During this tenure he acquired proficiency in Direct Tax Laws, and extensive experience in handling assessment proceedings under the Income Tax Act. He was also involved in appellate matters before the Commissioner of Income Tax (Appeals) and the Income-tax Appellate Tribunal (ITAT). He advised clients on various issues under the Income Tax Act, Wealth Tax Act and Double Taxation Avoidance Agreements. Although he was doing very well, Dharmesh had been immensely inspired by Mr. Sahni’s ‘Out of the Box thinking’, expertise in various fields and holistic approach to problem solving. 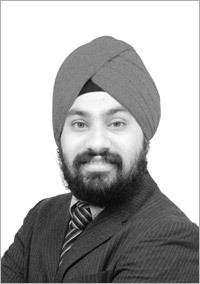 He realised that there was much still to learn from Mr. Sahni and joined him as an associate executive. Dharmesh’s interests range from Computer Forensics to boating. He holds a Post Graduate Diploma in Cyber Crime Investigation, from the Asian School of Law. 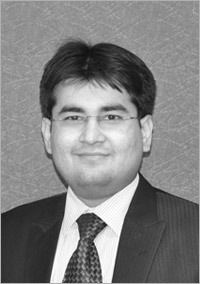 Sameer Jawahrani qualified as a Chartered Accountant in July 2011. Having completed his articleship under Mr. Sahni’s guidance and worked with him for over 4 years, he has gained significant experience in internal audits, statutory audits, taxation, transfer pricing and due diligence. Sameer is also a Level II CFA® candidate. After qualifying as a Chartered Accountant, Sameer realized that there was still a lot that could be learnt by working with Mr. Sahni, which he would not get to learn elsewhere. So he continues to team with Mr. Sahni as his associate. 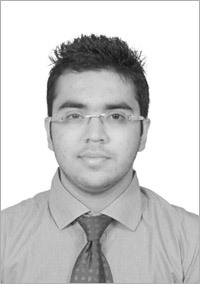 Sameer is also an avid reader, movie buff and travel enthusiast.